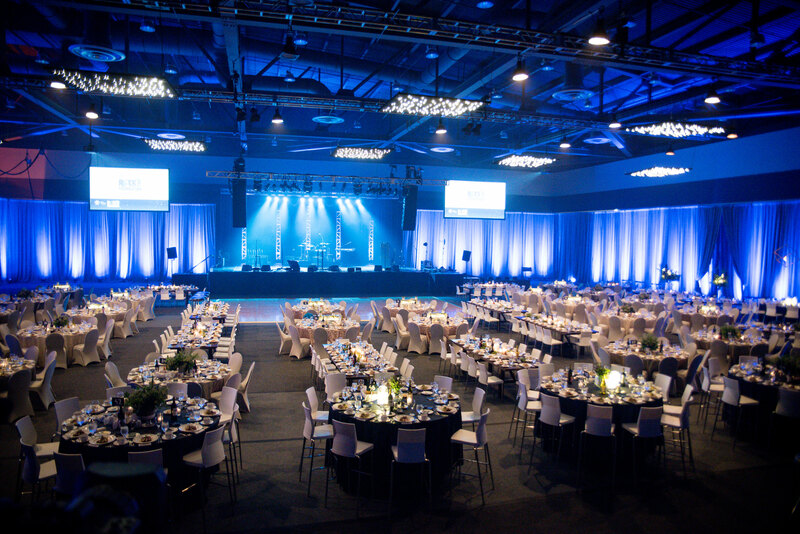 It was our privilege and honor to partner once again with the Rock the Foundation fundraiser with MultiCare. 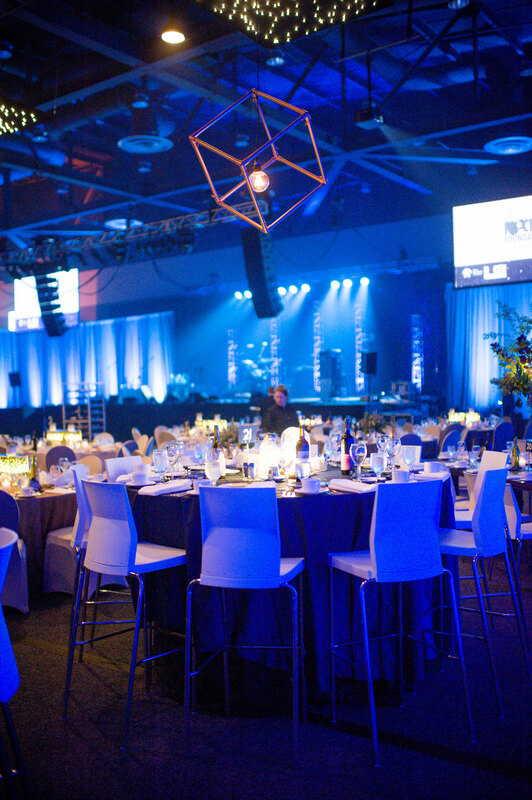 Nobly, this year’s fundraising focus was to raise money for hospice care for the terminally ill. Each component of the night was intentional. Every portion was interactive and enlightening of what the fundraiser was all about. The Lounge | The evening kicked off with an experiential lounge. This allowed guests a first-hand understanding of the hospice services MultiCare provides. From massages to pet therapy, the lounge was setup with uniquely designed areas for the guests to learn and enjoy. Each area taught them about them about a different hospice service and even allowed them to try the therapy for themselves! Aromatherapy |The aromatherapy station was full of custom blends for medicinal uses and relaxation. 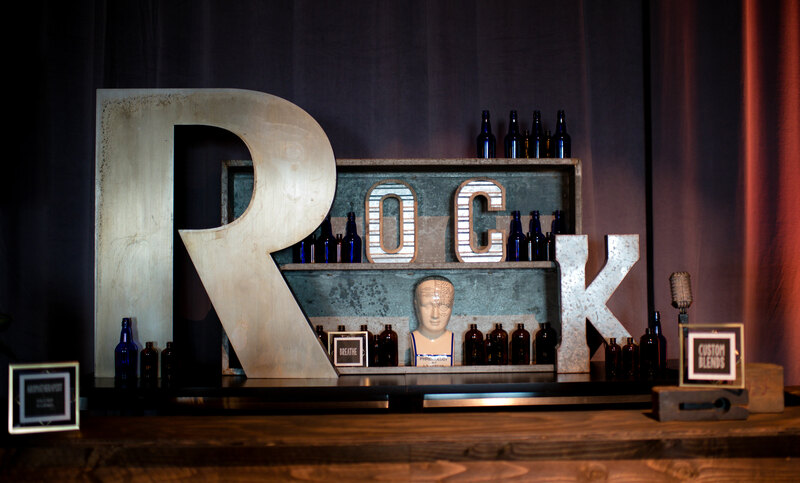 TLB customized the station with the fundraiser name and medical props to tie together the aromatherapy theme. The pet therapy area was pooch-perfect with its “dog-park” theme and fury companions. 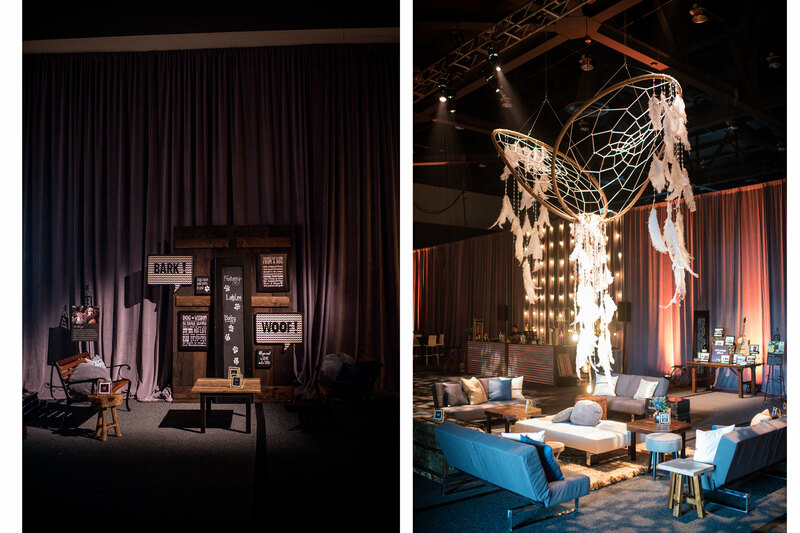 The dreamcatcher was specially made by TLB as a symbol of local dreams fulfilled by this charity. 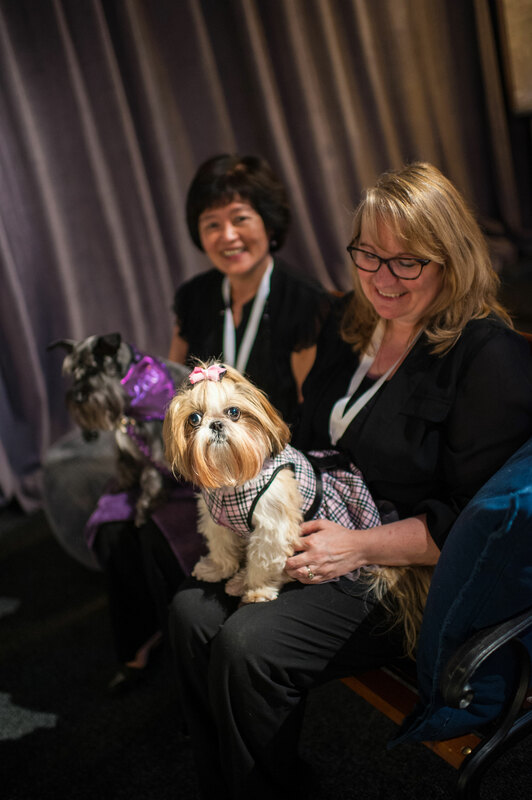 Pet Therapy | The therapy dogs were a natural hit, bringing smiles and fluffy cuddles to many guests. 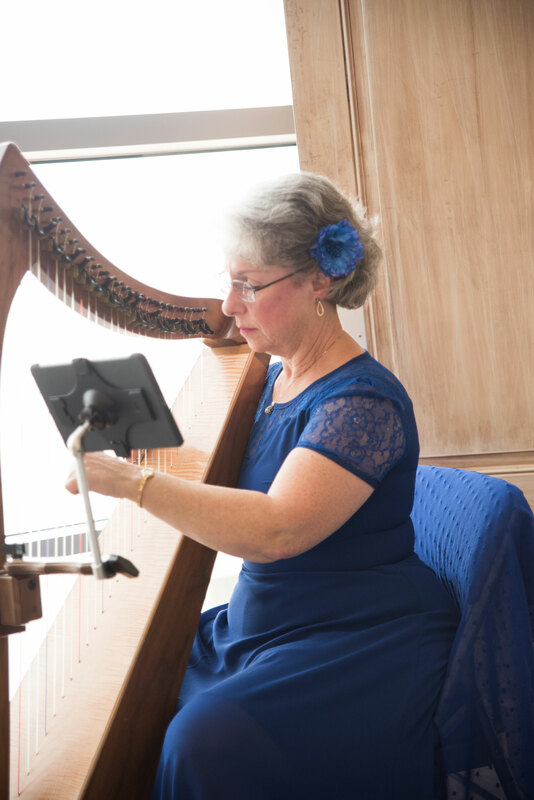 Music Therapy| A harpist calmed the atmosphere with soothing melodies. Massage Therapy | Massage therapists brought deep relaxation to the guests as they learned first hand about the therapies this organization has to offer. 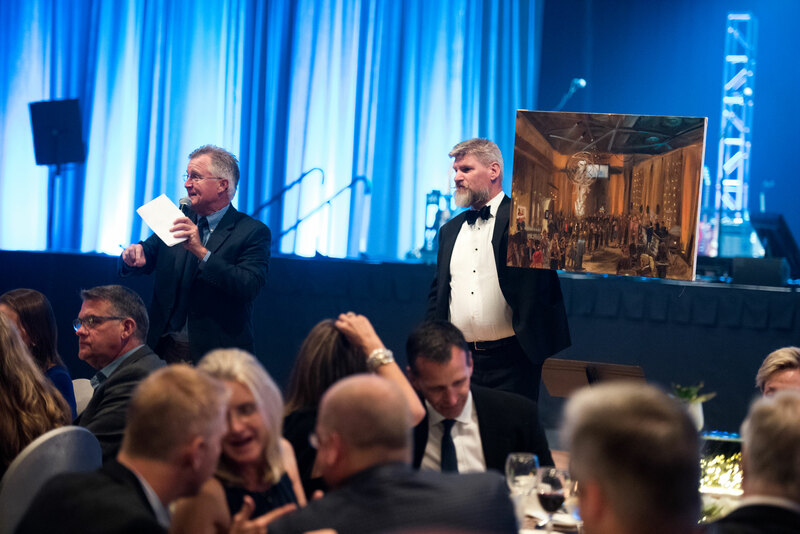 Live Painting | If the night wasn’t memorable enough, a live painting was created to capture the evening and to be later auctioned off for the cause. Ballroom | The evening continued in the starry night ballroom. 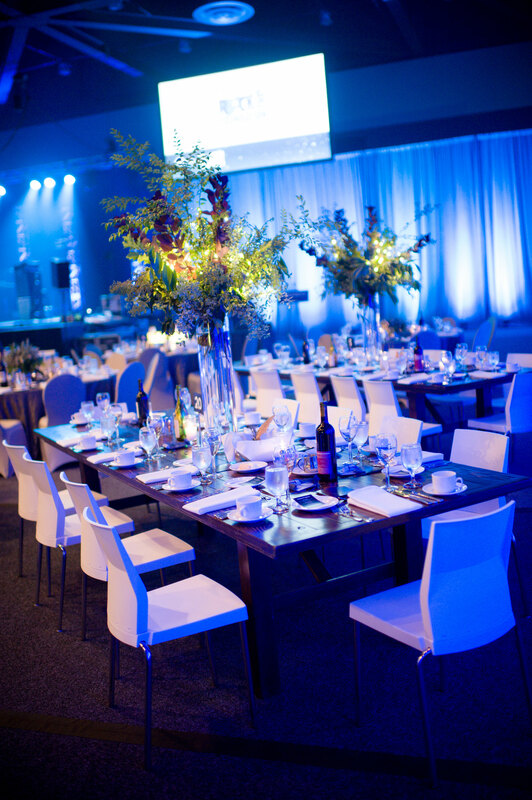 Blue lighting and custom-made light fixtures gave the ballroom a starry-night feel for a relaxing and enjoyable evening. 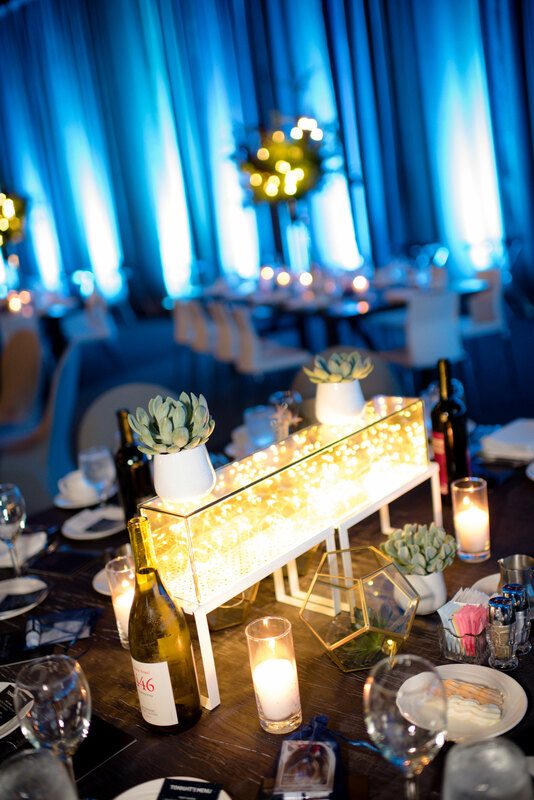 Every Area Is Unique | Each table was customized with various compositions of light, geometric shapes and fresh plants and flowers. The Table | The table setup had an artisan café feel with clean white linens, fresh bread and local plants. 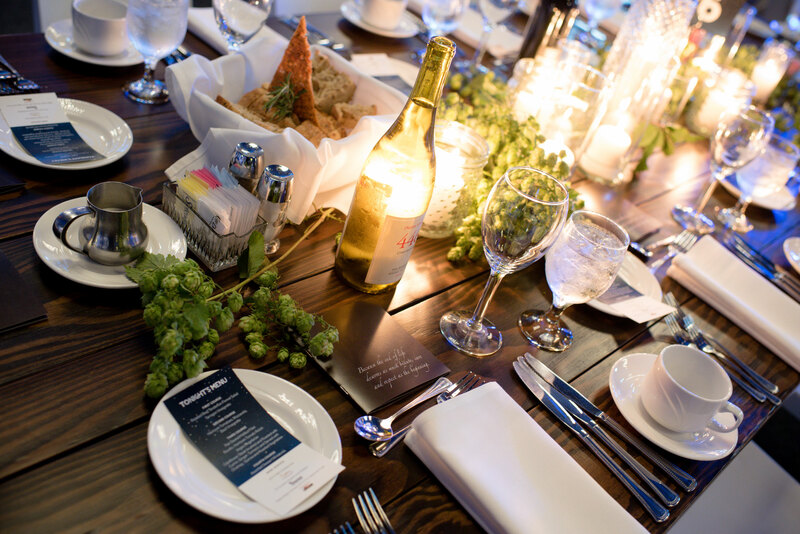 Starry night menus and info pamphlets were specially designed for the evening. 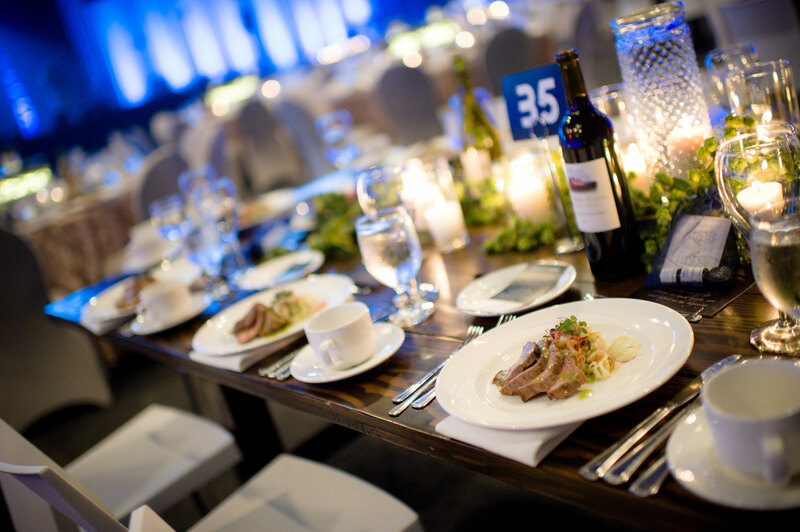 The Food | Hand crafted, artisan food brought a tasteful element to please every pallet. 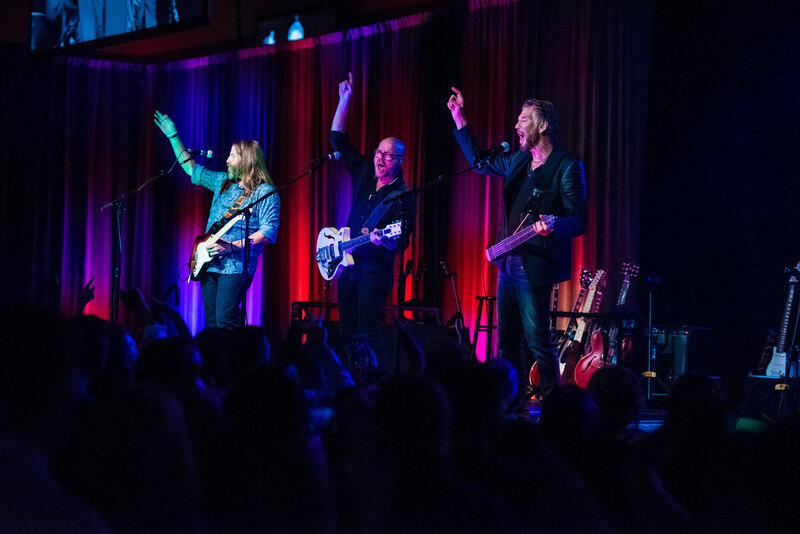 Entertainment | Kenny Loggin and his band, didn’t fail to entertain with a high energy performance that left the night on a good note. 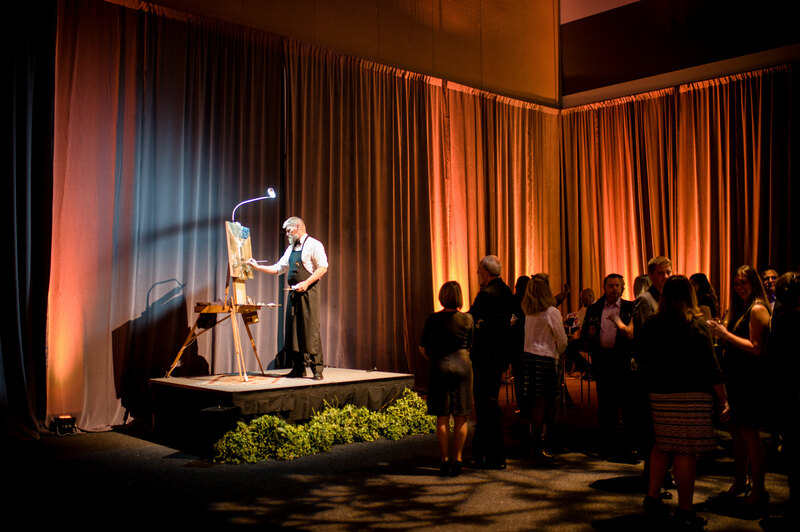 A Night to Remember | In memory of the evening and support of the event, the live painting of the evening was auctioned off.